It is important to note that some parts of certain countries cannot be without heating or cooling. It is for this purpose that different types of heat pumps, such as the Trane XB13 heat pump, have been developed. Different models provide different types of cooling and heating. All of them do, however, offer comfort, efficiency, durability, ease of use, quiet operation and economical usage. There is also the matter of healthier and cleaner indoor air which the unit will provide over a long period. This will also depend on your servicing and maintenance of the unit. Efficient Performance – The Trane XB13 heat pump offers a SEER rating of up to 14.50 and an HSPF of up to 9.0XL. The most important aspect is that it is therefore one of the most efficient pumps available. Economical Operation – The unit allows for an efficiency, which impacts on your spending cost on energy. This applies both, for the heating and cooling of your home. 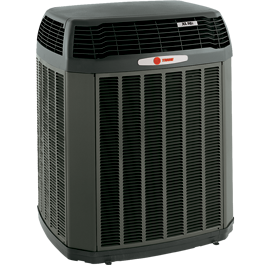 The Durability of the Trane XB13 Heat Pump – The increased Trane XB13 heat pump not only offers an increased efficiency but substantially lowers your utility bill. The materials for all components are tested for long-lasting performance and durability. You are therefore provided with a product that has long lasting capability. It Offers Cleaner and Healthier Indoor Air – With an advanced air filtration system, the Trane CleanEffects, the Trane XB13 heat pump offers you clean and healthy air inside your home. This is achieved through the removal of most pollen, dust and any other irritants from your home. The Trane XB13 heat pump Innovation Climatuff Compressor uses technology of superior quality which includes durability, cost-saving efficiency with low sound levels. This makes it a comfort to have in the home as it is quiet as it performs its necessary tasks. The full-side louvered panels protect the inner components of the Trane XB13 heat pump from any hazard or debris such as leaves, tree branches and hail. It also makes the unit rust and corrosion resistant which gives it a longer lifespan. The same applies to the baked-on powder paint which adds to the protection, but also gives the unit a finished and attractive appearance. The Unit is supplied with a Spine Fin Coil that is manufactured with aluminum. It is an outdoor coil that provides low airflow resistance, thus provides greater heat exchanging capabilities and higher efficiency. It is also more resistant to corrosion and leaks than traditional copper/aluminum coils. The DuraTuff Basepan will not rust, corrode, warp or crack and thus be durable for a very long period. The Corrosion Resistant Fasteners allows for the unit to maintain its appearance as it would not show any rust to discolour the unit. Every Tran unit comes with a warranty. 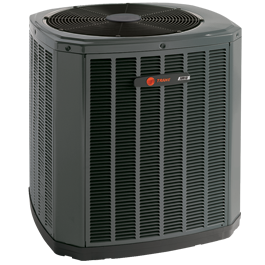 The Trane XB13 heat pump is no exception and that means a long-term investment as well. A warranty is important and this is what you will get with your unit. It comes with a Registered Limited Warranty if the product is registered within sixty days of installation. 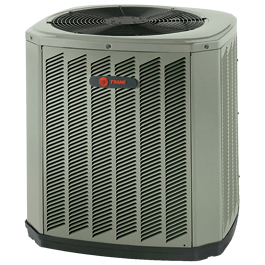 Should you not register your Trane XB13 heat pump within sixty days of installation then Trane’s Base Limited Warranty terms will apply. The dealer, from whom you purchase your unit, should be able to inform you regarding the warranty. The warranty, in this instance, will be for residential purposes only and you need to know what would be excluded.